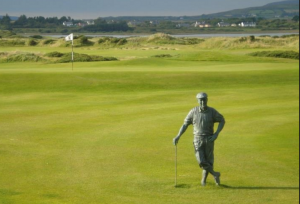 Atlantic Way Chauffeur Services offer Golf Packages in Ireland are our tour specialty. We have contacts into to all the top golf courses in Ireland. Atlantic Way Chauffeur Services partner with all the top hotels linked to these golf courses allowing us to get the best value, best rooms and of course best tee times giving the best golf packages in Ireland. 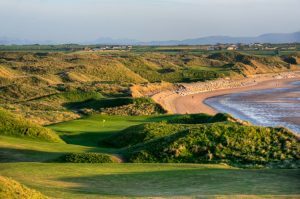 We offer the world famous courses that all golfers want to test themselves against such as The Old Head of Kinsale, Waterville, Ballybunion & Lahinch to name a few of the links courses, Mount Juliet & The K Club the gems of the parkland courses. We also know of 50 other top class courses that will make your tour to Ireland highly memorable. Atlantic Way Chauffeur Services use in top of the range Mercedes E Class & V Class vehicles. A blend of the world famous and hidden gem golf courses matched with the perfect top hotel location can make your tour. We will organise your tour where you don’t have to pack your suitcase every morning, letting you relax in the same hotel room for consecutive nights. We can do this for example when you play Ballybunion, Waterville, Dooks and maybe Killarney (host of the Irish Open three times). We offer a service where the golfers can golf while the non golfers can go sightseeing. This ensures maximum enjoyment by all parties. We can arrange meeting up later to share the tales of the day and of course the hard luck stories too! If you are looking for a partner on the golf course? we also offer our driver to play with the single golfer to make up a 2 ball. We have 2 drivers who are single handicap golfers who know all the top courses. This will make your game all the more enjoyable as they know the lines ‘off the tee-box and on the greens’.